iT'S BEEN AMAZING AT THE LONDON DRUM SHOW, GREAT MEETS AND TALKS AND LOT OF FUN! I'M TRULY HONORED AND PLEASED THAT I COULD BE A PART OF IT! 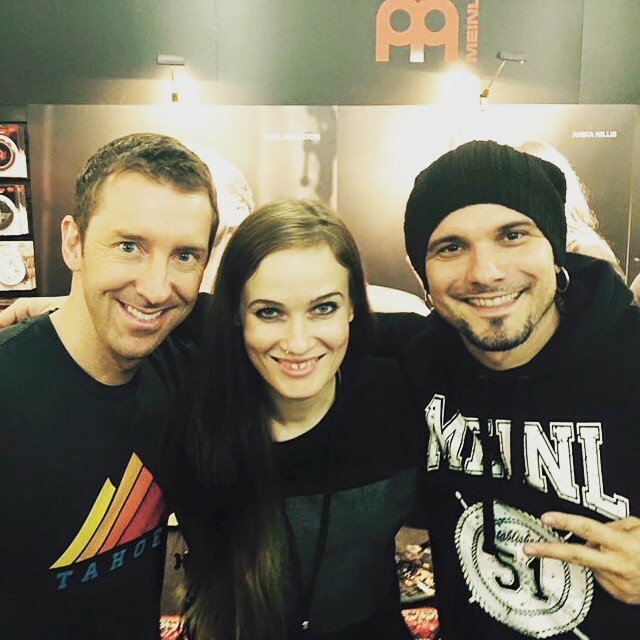 HERE IS A GREAT SHOT WITH THE AMAZING ANIKA NILLES AND MIKE JOHNSTON WE TOOK DURING OUR SIGNING SESSION AT THE MEINL BOOTH.